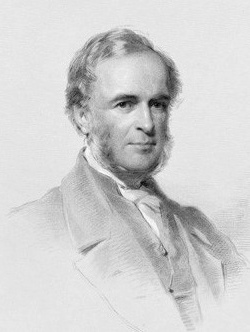 In Exeter College Chapel hangs one of the finest pieces of religious art from the Victorian era. 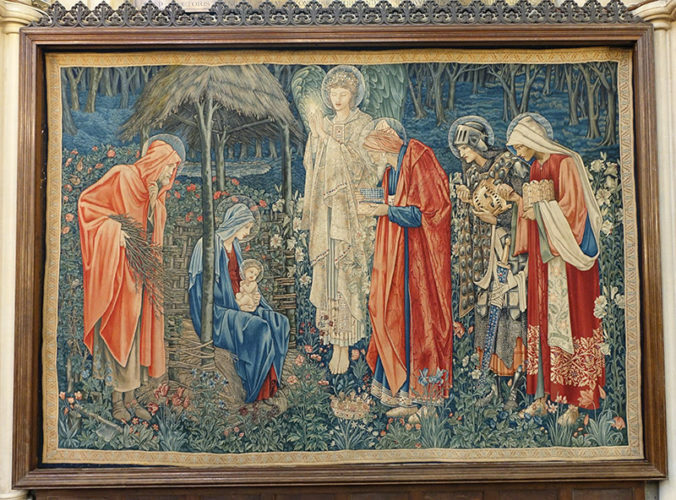 The Adoration of the Magi tapestry was designed by Exonians William Morris (1852, Classics) and Edward Burne-Jones (1852, Theology) after it was commissioned by Rector John Prideaux Lightfoot in 1886. The tapestry is temporarily being removed from the Chapel so that it can be housed behind UV-filtering, low-reflective acrylic of museum quality. The acrylic will protect the tapestry for the future and improve the viewing experience of those who come to admire it. 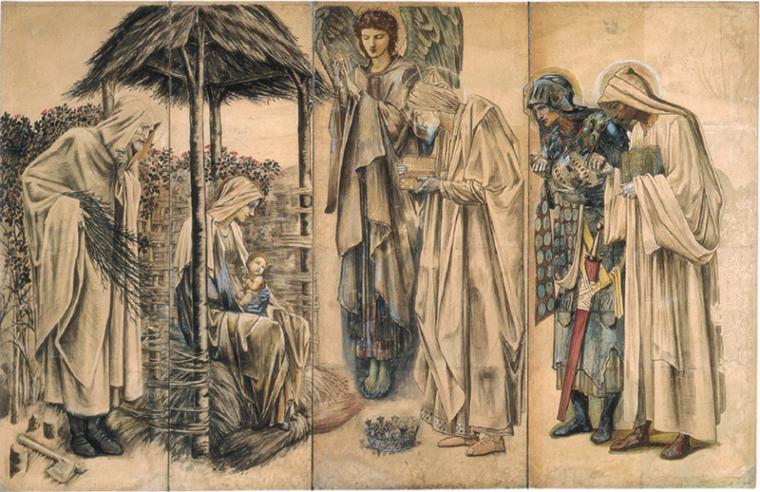 Edward Burne-Jones drew the figures, producing a large watercolour and gouache modello in 1887; the cartoons followed in 1888. Morris added detail and colour, with his craftsman-assistant John Henry Dearle. 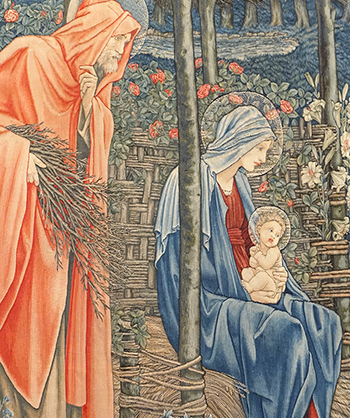 After two years on the loom at Merton Abbey, the Morris & Co factory, the tapestry was presented to Exeter College in 1890 as a gift from the artists. 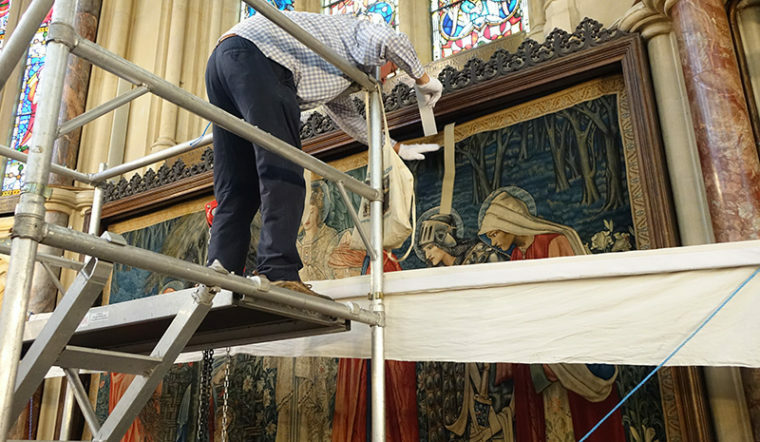 The project to re-glaze the tapestry is being overseen by professional conservators Georgie Dennis, who read Modern History at Exeter, and Jonathan Tetley. The project forms part of the College’s ongoing commitment to protecting and displaying art for the benefit of current and future generations. Other examples include stained glass windows and a carpet, also designed by Morris and Burne-Jones, which were restored and then displayed at Cohen Quad thanks to the philanthropy of the Exeter community. If you are interested in helping the College preserve its art please contact Pamela Stephenson, Director of Development and Alumni Relations.